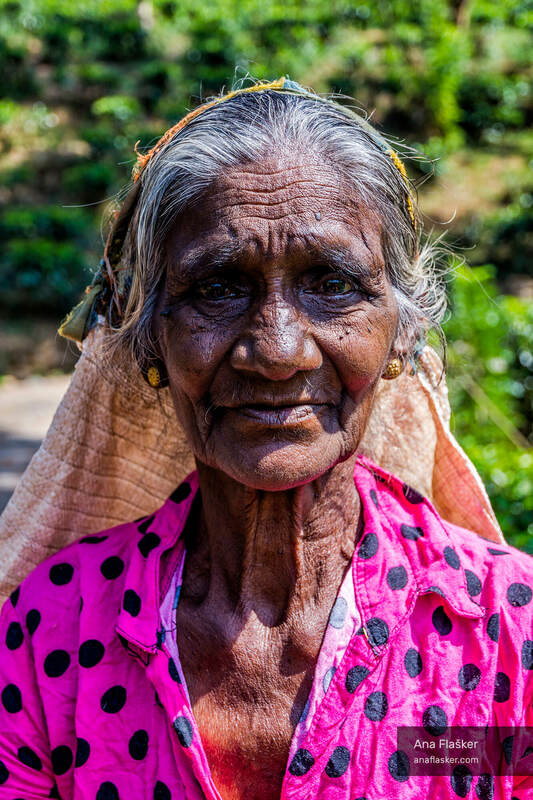 Portrait of the life-long tea plucker. She was picking tea leafs all her life. Tea puckers in Sri Lanka earn around 600 rupees ($4) a day for a minimum of 15 kg of tea leafs. Every additional kilo brings another 60 rupees ($0.40). Apparently a super experienced pluckers can pick up to 30 kg a day. They put a tea leafs into the bag attached to their head. The monthly salary is still somewhere between $100-$250 for work 7 days a week from the early morning to sundown.